Yippee - Summer is finally here and it's the perfect time to take advantage of our Customised Beach Balls. If you get your business details and company logo printed upon our Customised Beach Balls, then give them away to everyone you know including your customers. When they take there families on holiday your advert will follow. As we all know, people holiday all over the world, so your advert will travel far and wide. 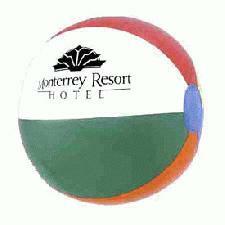 So promote your business details upon our Customised Beach Balls today and stay advertised. To find out more about our Customised Beach Balls click here and fill in the contact form and we'll get straight back to you. Other promotional and personalised items besides our Customised Beach Balls click here.